The final proof has been proofed and the paperbacks are coming! We just submitted our final files for printing the paperbacks of LOTB, and what better way to celebrate than to give one away? 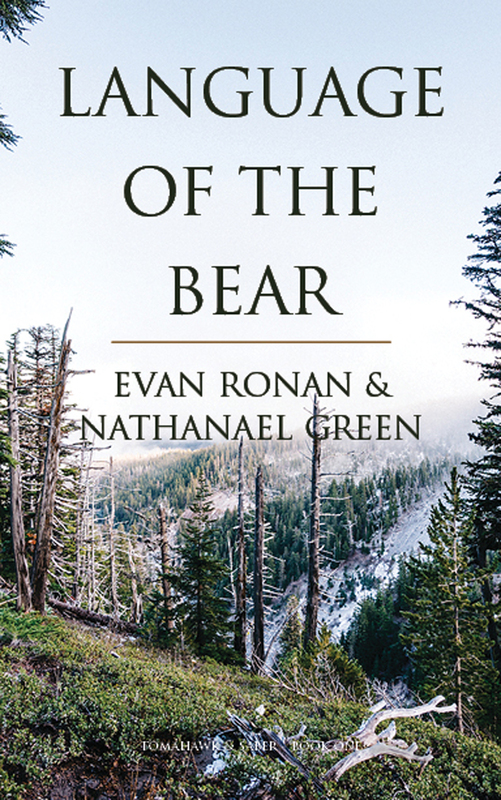 Thank you to everyone who entered our Goodreads giveaway and added Language of the Bear as to-be-read. If you didn’t win one of the copies, I’ve got one more autographed copy to give away to the awesome folks who’ve joined my mailing list. If you’d like a chance to win, just add your email here. It will only take about 7 seconds. And I promise you won’t get be awash in a bunch of emails—I don’t email often, and you’ll get some special discounts on books, free stuff, and exclusive, subscriber-only writing. If you’re already on my mailing list, thank you, and you’ll be entered for the random drawing on July 23. P.S. If you REALLY want this free signed copy, every time you share this on your favorite social media sites, I’ll add your name in for another chance to win. Language of the Bear is coming out in paperback! And to celebrate, Evan Ronan and I are giving away 5 autographed copies! To enter to win your own free, signed copy, just visit the giveaway page on Goodreads and click “Enter Giveaway” by Saturday the 20th. 1) We’re offering 100 free ebooks to people willing to post an honest review on their favorite site. If you’re on LibraryThing, there’s a current offer for reviewers of LOTB. These reviews are extremely helpful for us, and I hope you’ll consider entering for one of the books. You’ll need to click this link and then search the text for “Language of the Bear” to find and request it among the gargantuan list of giveaways. While you’re there, why not search for other keywords to find some other books you might like to read? 2) The second book in the Tomahawk and Saber series, Through the Narrows, is coming out at the end of this month. We’re keeping pretty close-lipped on the description and cover art for a big reveal just before the launch, though if you join my email list, you’ll get a peek before anyone else. In the second book of the Tomahawk & Saber series, Wolf Tongue and Pyke find themselves defending a less-than-deserving small town on the Pennsylvania frontier against a vastly superior force of Mingos who are out for blood. If you’re a fan of history, adventure, and good old-fashioned character-driven action stories, then you should check these books out. They’re fast, fun, violent, and at times brutal. Go forth and win lots of books, people!